Why Test for Radon in Schools? A nationwide survey of radon levels in schools estimates that nearly one in five has at least one schoolroom with a short-term radon level above the action level of 4 pCi/L (picoCuries per liter) - the level at which EPA recommends that schools take action to reduce the level. EPA estimates that more than 70,000 schoolrooms in use today have high short-term radon levels. The only way to determine if a problem exists is to test for it. School is not the only place that students and teachers can be exposed to radon. Since children spend more time at home, high radon levels there can pose a much greater threat to their health. Once again, testing is simple and inexpensive. After all, radon is one health problem nobody should have to live with - at home or at school. For more information, call one of our radon hotlines. Does your state require school or daycare testing? 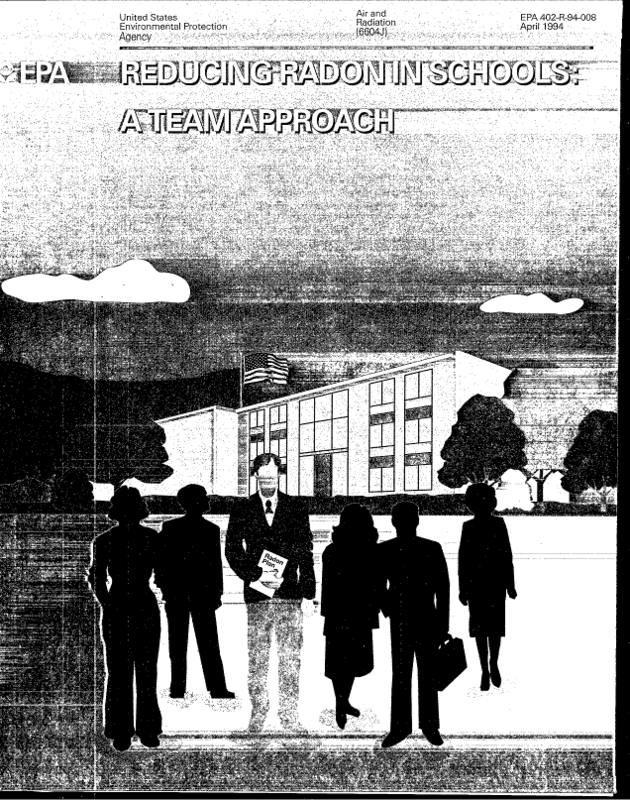 The Policy Surveillance Program (A Law Atlas Project from Temple University) is an excellent resource on radon law throughout the United States. Select Yes under does your state require testing. Then select either Yes under Schools or Yes under Daycares to see if you state requires testing in these buildings. 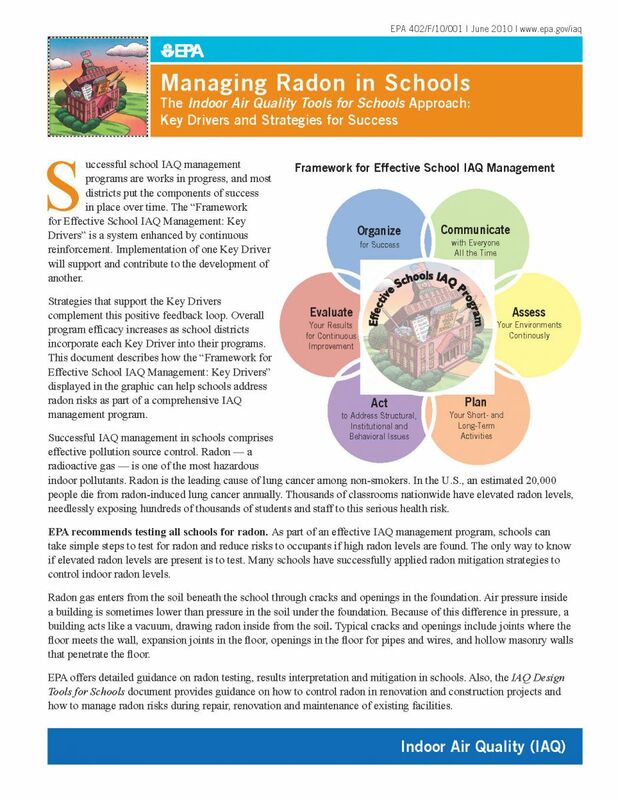 The Indoor Air Quality Tools for Schools Approach: Key Drivers and Strategies for Success. Original radon testing guidance for schools. Published by the EPA in July 1993. 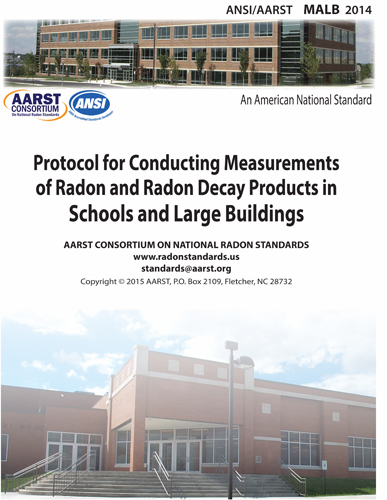 Protocol for Conducting Measurements of Radon and Radon Decay Product In Schools and Large Buildings (MALB 2014). The AARST MALB 2014 can only be accessed by purchasing the document. It is, however, the most current, up-to-date consensus-based standard for radon measurement in schools and large buildings. As such, it is well worth the purchase price. To purchase, follow the link above to the AARST online store. 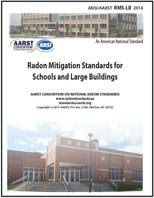 Radon Mitigation Standards for Schools and Large Buildings (RMS - LB 2014). The AARST RMS-LB 2014 can only be accessed by purchasing the document. It is, however, the most current, up-to-date consensus-based standard for radon mitigation in schools and large buildings. As such, it is well worth the purchase price. 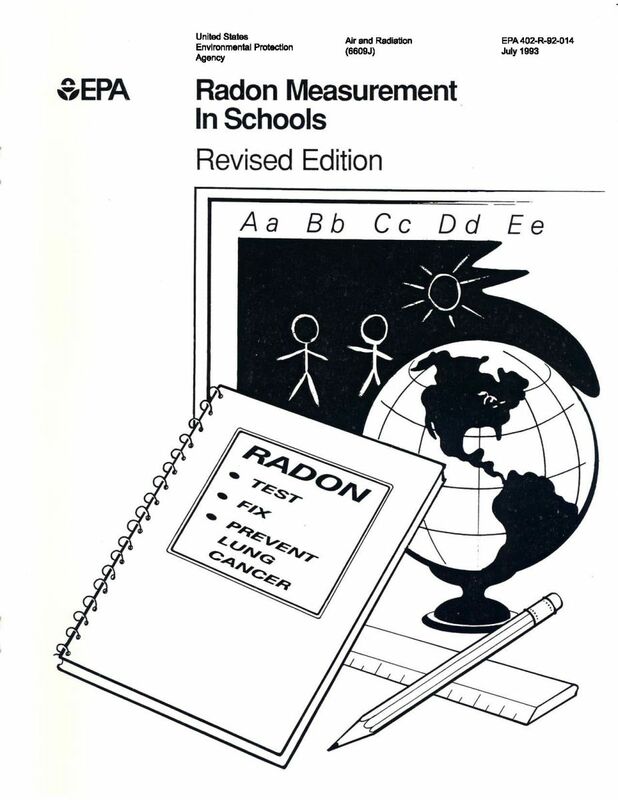 Original radon mitigation guidance for schools. Published by the EPA in July 1994.